Meet the Zenmuse X5, the worlds first mirrorless, compact Micro Four Thirds camera made specifically for aerial photography and cinematography. 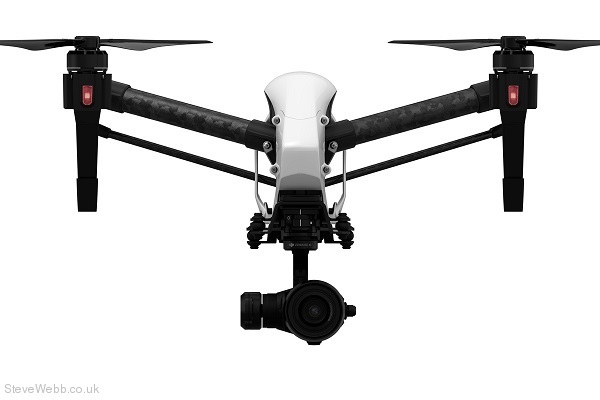 Designed to work with the DJI Inspire 1 Ready-To-Fly platform, the Zenmuse X5 packs a powerful sensor that's capable of recording 4K video at up to 30 fps and capturing still images at 16MP. Equipped with the standard MFT interchangeable lens mount and allowing full wireless remote control over focus, aperture, and more, the Zenmuse X5 lets you shoot the way you want. Welcome to the future of aerial imaging. Increased Dynamic Range - with 12.8 stops of dynamic range, shadows and highlights in everything you capture is brought out in perfect clarity. Greater Pixel Clarity - Shooting with the Zenmuse X5's M4/3 sensor results in images that are crisper and more detailed than any previous aerial camera. When compared with the X3 camera with the Inspire 1, the difference is clear in images that truly come to life. Revolutionary Sensor - Built inside the Zenmure X5 is a powerful Micro Four Thirds sensor that's absolutely revolutionary for an aerial camera. With a sensor eight times the size of that in the previous X3 camera included with the Inspire 1, this new MFT sensor enables high quality, high sensitivity image recording at an ISO range of 100 - 25600. With a sophisticated balance of high-resoling power, accurate gradation, and low noise, you are realizing your artistic and creative vision as never before. Ready To Fly - Say goodbye to frustratingly long set-ups. The Zenmuse X5 is perfectly compatible with the Inspire 1, DJI's professional, ready to fly aerial platform. Instantly ready and bringing a level of control and convenience that only a fully integrated system can provide, you have a combination of imaging prowess and ease-of-use that is unprecedented in any aerial imaging system. Take Control - With the Zenmuse X5, you have an unprecedented level of control right at you fingertips. In the intuitive auto-focus mode, simply tap on the screen of your mobile device to tell the camera to focus on a specific area. You can also easily manually change settings such as focus, shutter, and aperture through the user-friendly DJI GO app. With the Zenmuse X5, you are always ready to take control. Unparalleled Stabilization - Thanks to DJI's unparalleled expertise in stabilization systems, the Zenmuse X5 is equipped with a reliable 3-axis gimbal that automatically stabilizes your camera in flight. The gimbal constantly communicates with the aircraft, and quickly compensates for every minor movement. As a result, the Zenmuse X5 produces silky smooth footage and sharp photos even with long exposure no matter how you fly. 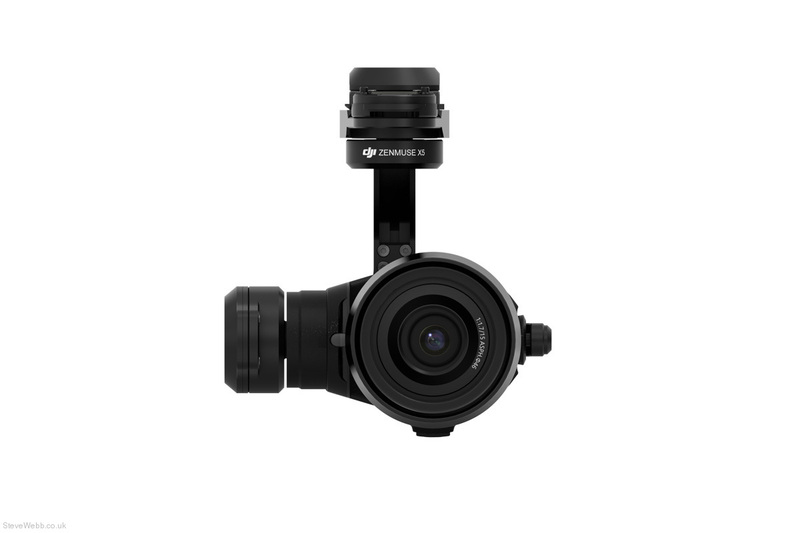 Interchangeable Lens Mount - As the world's first Micro Four Thirds camera made specifically for aerial photography and videography, the Zenmuse X5 gives you the freedom to choose your lens. By utilizing the standard MFT mount, one of the most popular lens systems in the camera industry, the Zenmuse X5 is well positioned to benefit from new products and innovations from lens manufacturers. DJI GO App - Control the Zenmuse X5 remotely wit the same DJI GO app that is used with the inspire 1. With a live HD view powered by DJI Lightbridge, you see exactly what the camera is capturing and can adjust every setting on the fly. Built To Last - The Zenmuse X5 is precisely manufactured with high-grade magnesium alloys, enabling it to withstand heavy field use. Compact and lightweight to allow easy transportation and long flight times, the Zenmuse X5 is built to last. 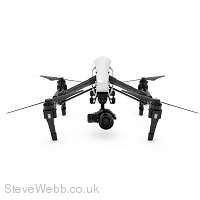 Precise Focus Control - As you fly, focus can be remotely adjusted using the GO app or the DJI Focus system. Simply plug this new follow focus in to the remote to have an accurate, familiar physical focus ring that controls the way your shots look.